Things to See and Places to Go! 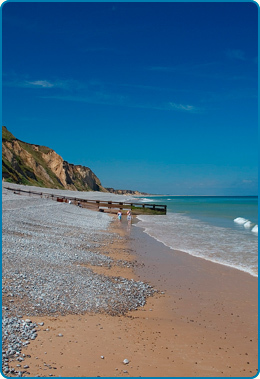 There really is lots’ to see and do in this part of North Norfolk and always something going on. We have highlighted some of the most popular attractions below, some of which we have visited and some that we are told are well worth a trip. Please do let us know when you discover somewhere that you believe would be enjoyed by our other guests and we will add it to the list. Watch out for road-signs advertising the local antique fairs or fetes – they are often quite good fun! Featuring a 25m pool, a wave machine and a 150ft waterslide, this is a great place to spend a wet day (literally!). There is a soft-play area for younger children, a gym and fitness classes. They also have badminton courts. www.dcleisurecentres.co.uk and follow the links to the Splash Leisure Centre.